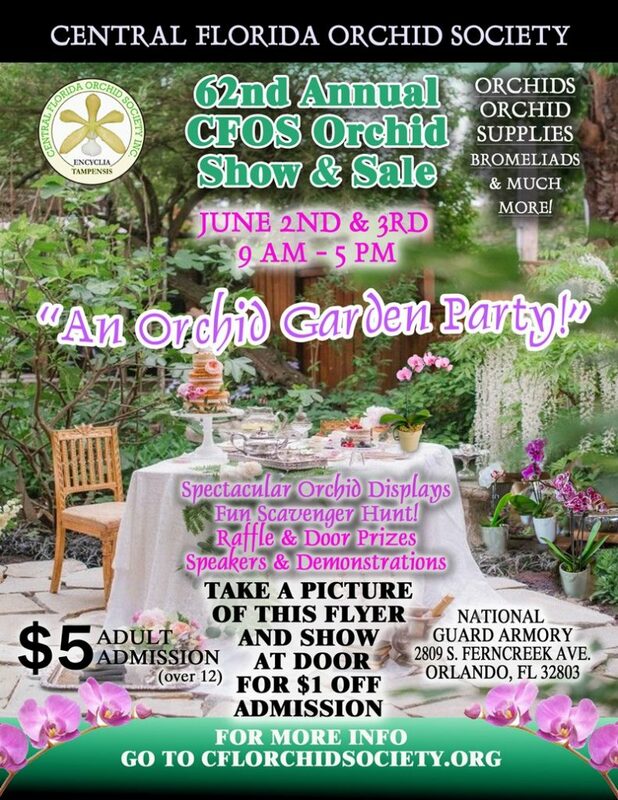 Spectacular orchid displays, orchids and supplies vendors, speakers and demonstrations, company plants, raffles, door prizes, and a scavenger hunt! Walk through your local garden center and finding what’s right for your landscape and gardening skill level can be overwhelming. Not everyone wants to spend the warm months of the year taking care of needy plants, and there are many available that will offer color all summer and don’t need a lot of attention! Daylilies come in hundreds of varieties and colors and are almost plant and forget. Plant different cultivars in a sunny spot about twelve inches apart, keep them watered well for the first few weeks, and you’ll be rewarded with pops of color all Summer. Everyone loves sunflowers, and they are easy to plant from seed. There are even varieties available that are only a few feet tall that would work in containers. If you plant seeds, try planting each set every two weeks for six weeks, and once they bloom, they’ll bloom until Fall. Who wouldn’t like grass that doesn’t need mowing? Ornamental grasses such as zebra grass, purple fountain grass, blue fescue, and Japanese blood grass grow to be different heights and can add interest as well as color with little maintenance. If you have a shady spot, impatiens are non-stop blooms if you keep them cool. Some call them “cowboy flowers,” as they can look almost dead, and give them a drink of water, and they come back to life! They’re great in containers and hanging baskets and can brighten any dark spot in the yard. Attract butterflies to your yard with a butterfly weed plant. Since it is a native wildflower, it is practically carefree, and butterflies love the nectar. Planting from seed can make flowering take a year or two, so look for an older plant already in flower in your garden center. Zinnias put on a show all Summer, and come in many colors and bloom varieties, and all it takes is a scattering of seeds. Like sunflowers, if you plant them every two weeks for about six weeks, they’ll bloom successively for many weeks. Portulaca is a succulent plant that grows low to the ground and blooms in bright pink, orange, red, white and yellow. 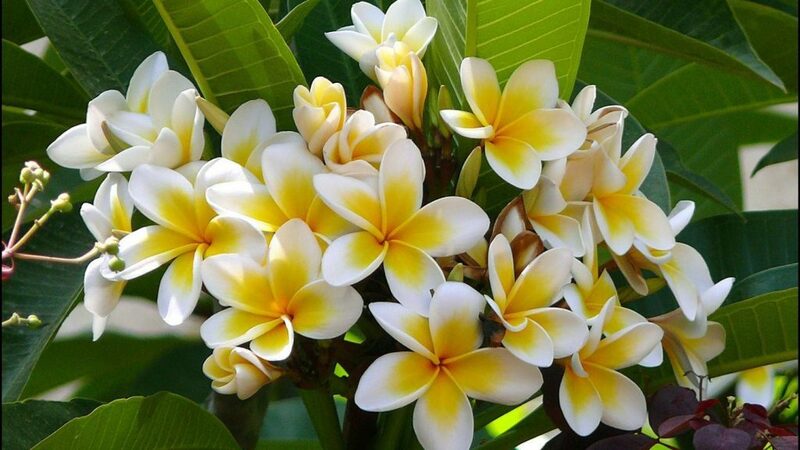 When everything else is drooping in the heat of Summer, because of their heat tolerance, will be shining bright. Another plant for those shady places is fern. There are many cultivars, and ferns thrive in shade, and you get a bonus because they come back every year. Trumpet vine is so easy to grow, it is commonplace along country roadsides, climbing power poles, blooming with bright orange trumpet-shaped flowers. Plant this with some support, and besides looking pretty, hummingbirds enjoy it! Look for easy care hybrid roses. Not only are the modern cultivations easy to keep, they bloom all season. Check with your local cooperative extension service if you need advice on what is good to plant for your local climate, or find your region in this article from Better Homes & Gardens™ for more ideas. Gardening can be as time-consuming or as carefree as we want–we just have to pick the right things to grow. Come out to the biggest home and garden event of the season and the place to get your home projects solved. This year the Orlando Home & Garden Show returns with builders, gardeners and DIY’ers that will showcase the latest exhibits and seminars. This is a family-friendly event that provides fun activities for kids as you meet with experts on everything home and garden. The Orlando Fall Home & Garden show is the biggest home and garden event of the season and THE place to get your home projects solved! Visit the convention center to enjoy thousands of square feet of exhibits, featuring landscape and gardening experts, home improvement contractors, the latest in products and services, and related businesses exhibiting and explaining everything from creating curb appeal to backyard landscapes. The Orlando Fall Home & Garden Show saves time by offering everything for your home and garden under one roof, and features fun activities for the whole family. Selecting Plants and Flowers for Your Home Garden! Many of us select plants for the garden at our Orlando FL home based on their visual effect—color, height, size of blooms, etc. And so we should, as the sight of our plantings should be pleasing to our sense of sight. As we plan our garden, however, we should also be aware of the other four senses—and include plants which appeal to each of them. SMELL: Aromatherapy is a powerful practice. With nothing more than a simple scent, the brain can be triggered to remember long forgotten memories, emotions, and feelings. 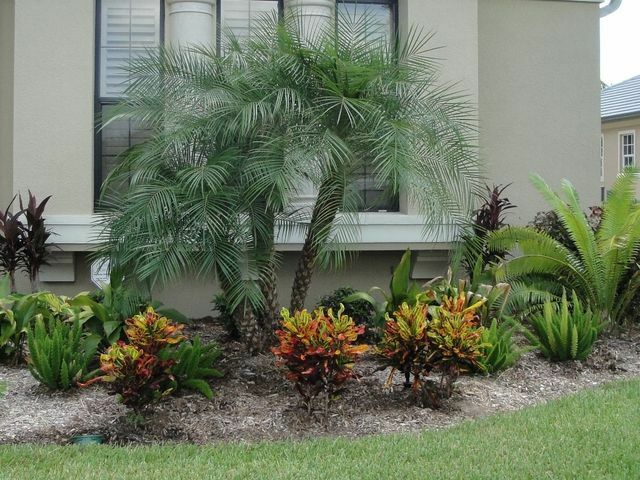 With that being said, it is important to carefully select the flowers you want in the garden of your Orlando FL home. With a few simple choices, you can create your own “memory lane’ or relaxing oasis. In terms of fragrance, it’s hard to beat roses or lavender. Wisteria and jasmine are scented climbers which can really enhance the sensory pleasure of a garden, and amaryllis belladonna and spirea both add pleasant scents. TOUCH: Texture in garden design refers to the surface quality of the plant. Plant textures range from delicate and fine to coarse and bold. The feel of the foliage in your Orlando FL home’s garden is not the only element of texture, however, as the texture can change with the play of light and shadow and even with viewing distance. Plants with thread-like leaves call out to be touched, so consider adding cosmos, baby’s breath, asters, and grasses. In addition, iris and lamb’s ear will each provide softer tactile experiences. Spring brings with it exciting times for gardeners who anticipate floral beauty and healthy plants for the grounds of their Orlando real estate. To fulfill your gardening hopes, however, you need to prioritize your time in order to tend to all the tasks necessary for blooms and blossoms. 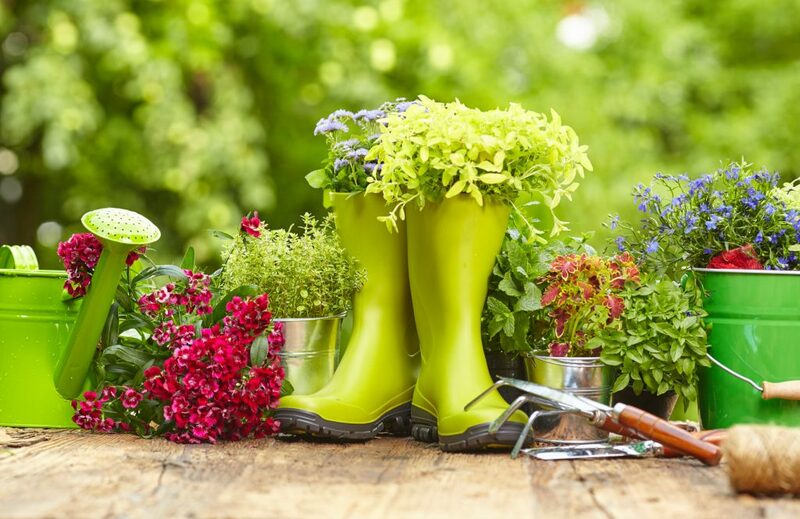 Spring is a good time to prepare your tools for the oncoming gardening season and to make any necessary repairs or new purchases. You will be happy you have done so when summer sets in. Stake plants that may be prone to wind damage during the unpredictable spring weather. One type of gardening which appeals to many environmentalists is organic gardening, the incorporation of the entire landscape design and environment to improve the soil and maximize plant production without using synthetic materials. Another gardening philosophy which is gaining in popularity is “no till” planting. Proponents of this system insist that not tilling the soil of your Orlando real estate improves the quality of the dirt by not disturbing it and thus not bringing buried weeds, bacteria, and carbon to the surface. Layers of mulch and other organic materials not only “feed” the soil, but also control weed growth. Whatever method you select, may your gardening days be happy and your blooms rewarding!